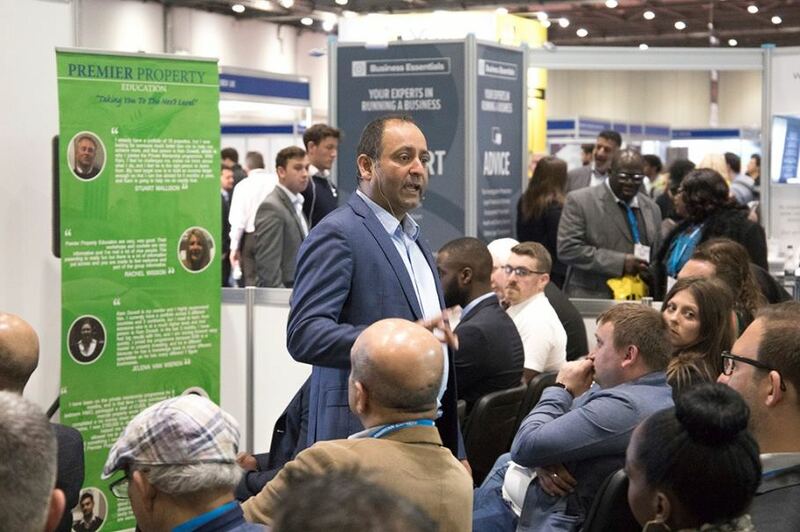 LONDON - May 25, 2018 - PRLog -- Property expert Kam Dovedi wowed audiences of business owners, leaders and entrepreneurs last week at The Business Show. He delivered two keynote talks on Property: The safest, securest and most profitable business in 2018 and beyond and How to create your property business as well as a marathon run of 17 back to back seminars. During the two day event, Dovedi was one of few selected Keynote Speakers alongside some of the most iconic Business founders and Leaders sharing and providing valuable tips from Simon Woodroffe, Founder of Yo! Sushi and YOTEL as well as Steven Smith, Founder of Poundland, Tommy Mallet from TOWIE and Jordan Daykin Dragons Den winner. Providing key topics of value in the property sector on the main keynote stage to a hungry audience, Dovedi also ran a back to back marathon stint of talks every hour throughout the day, providing further insight and tips on financial freedom through property, a business everyone on the Times Rich List has in common. His talk answered the most common question being asked by many new investors, which is: "How do I start correctly in business and succeed?" Dovedi showed his audience real life case studies of different strategies he has implemented within his own property business, giving his audience the chance to decide which is best for them according to how much, or how little, time, money and experience they have. "I never realised how simple investing in property was until I sat down and listened to Kam's talk. It's something I always thought needed investment and time, but learning how simple it is to make money via property, Kam is a great educator and I will definitely be going to one of his workshops"
As a highly respected figure in the property sector, his 28 years of experience within the property world has led him to share his knowledge, challenges and how he overcame these by sharing through his educational platform of Premier Property Education, a networking and educational platform, providing value to others within property and his personal mentorship programmes. The Business Show has evolved from the combination of two of PRYSM's very successful business events 'The Great British Business Show' and 'Business Startup'. Established for over 17 years, The Business Show are the country's leading business exhibition built on an exciting blend of highly respected speakers, interactive features and industry leading suppliers. The Business Show is home to Europe's leading event for businesses looking to expand globally. Going Global and the Foreign Direct Investment Expo will connect investment opportunities with ambitious investors across the board. The Business Show is the fastest growing business exhibition in Europe.